The 1911 E137 Zeenut Pacific Coast League cards are 2-1/8" x 4" with an unknown number of cards. To date, there are 122 different players that have been found, but new cards are still being discovered every few years. These cards were produced by the Zeenut company were included with products that they sold. 1911 was the first year that these Pacific Coast League cards were produced, and Zeenut continued to produce these cards through the late 1930's. 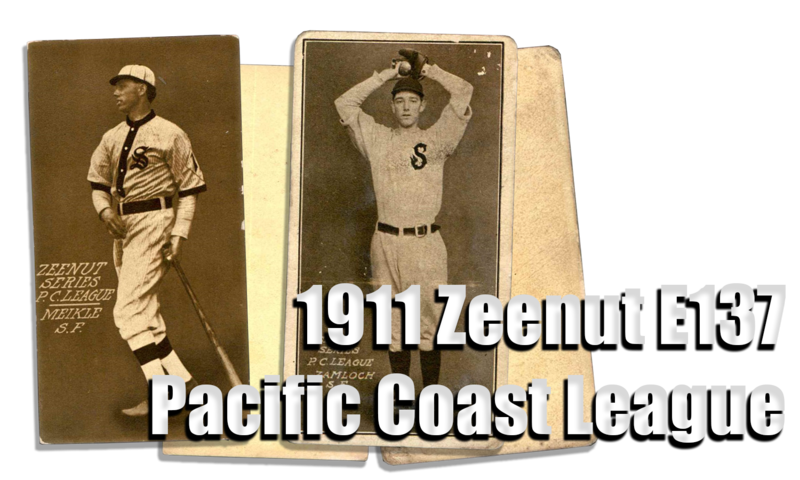 CLICK HERE if you want to sell your 1911 E137 Zeenut Pacific Coast League Baseball Cards.